Florida Athletic Director Jeremy Foley and Gator Boosters Executive Director Phil Pharr recently sent a letter to Gator boosters about 2014 season tickets. The major news here is that there will be no increases in booster contribution levels for at least three years. In addition, payment plans can now be extended from four payments to six. Desperate move by an athletic department with a 4-4 football team or proactive business move that will shore up the future? I think it’s the latter. A great misconception about college athletics is that television money is the largest source of revenue for an athletic department. Wrong. It’s contributions. 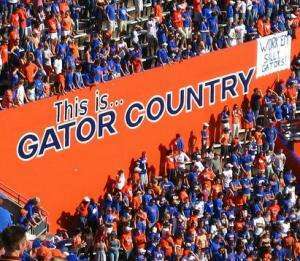 Last fiscal year, Florida reported $46.1 million in contributions to the athletic department. That’s more than twice the $22.2 million Florida earned from its conference distribution, which included revenue from conference television deals, bowl earnings, March Madness payouts and more. Based on contributions alone, Florida ranked second among public FBS schools to Texas A&M, which reported $53.4 million. However, due to the accounting differences from school to school, a better comparison is the revenue reported by schools for both ticket sales and contributions. Florida ($69.7 million) comes in fourth behind Texas ($100 million), Texas A&M ($88.4 million) and Michigan ($80.9 million) under that comparison. To understand the importance of contributions linked to season tickets for football and basketball, consider that 82 percent, or $37.7 million, of Florida’s contributions last fiscal year were attributed to football and basketball. In addition to freezing prices for boosters, Florida is also making other changes to encourage donors to remain loyal. First, some of the ways in which “Loyalty Points” are accrued are being modified. Instead of five priority points for each consecutive year of having football or basketball season tickets, season ticket holders can now earn 10 points for each consecutive year in each sport. In addition, the Gators are retroactively awarding “Loyalty Milestone Bonus Points” for each decade a booster has football or basketball season tickets. Booster Loyalty Points will be increased for each consecutive year of having season tickets. Currently, a booster receives five priority points for each consecutive year of having football season tickets and five priority points for each consecutive year of having basketball season tickets. Effective for the 2014 football season and the 2014-15 basketball season, the UAA will increase Loyalty Points for each consecutive year to 10. Looking to let your tickets go? There will be a three-month window from January 2014 to March 2014 where boosters can transfer their tickets to anyone, even if they’re not family (which is the current rule). Also, the cost of transferring tickets has been decreased. Hold on to your tickets, however, and you will be awarded opportunities to attend a football practice in 2014 that is not open to the general public.